Just search Puffin Web Browser on App Store or Google Play and install it. The Puffin Browser is the fastest mobile browser that will allow you to play web based flash games like House of Fun. It has many features like Virtual Trackpad and Gamepad that will help you play games. 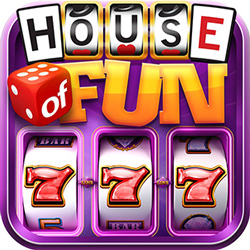 Simply go to House of Fun Free Coins bonus page every time you play. The GameHunters.Club bonus page for house of fun is not your ordinary page where you collect bonuses, it's a network of House of Fun players that shares bonus links using the ShareLinks Plugin. The plugin help the players to post links by simply browsing there Facebook Timeline or NewsFeed. This allows you to collect more free bonus coins and spins more than your Facebook friends can give. Tip on using the bonus page on mobile. You can bookmark the page but the best way is to login and follow House of Fun on GameHunters.Club. 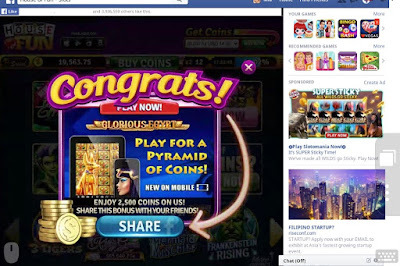 All advertisement will be remove when your login and you will have a NewsFeed that will show the latest bonus and posts, from there you will have the shortcut links to go to the main bonus page. To login go to the sign-up page or on mobile House of Fun page tap "Menus & Option" then select "Login with Facebook". The Puffin Browser will function like your laptop web browser and all coins you collect from the bonus page will open House of Fun on Facebook and the game will load just like your using a desktop computer. So keep collecting by switching windows or tab. 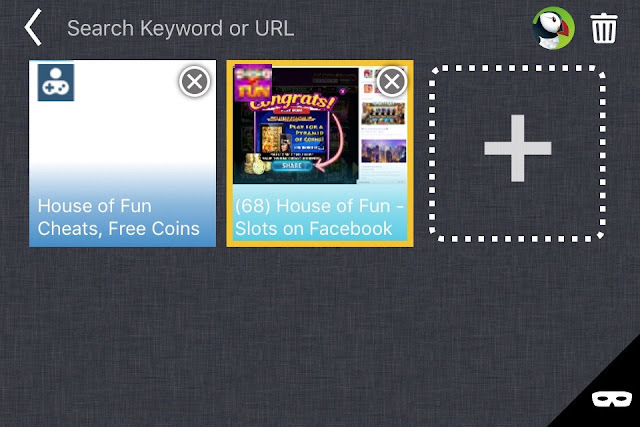 Just use the same Facebook Account when you sync or login to your House of Fun App, all coins you have collected will be credited to you. If your mobile data plan is limited, turn off your cellular internet connection and connect to a WiFi with unlimited bandwidth. Puffin will consume a lot of bandwidth because it will download House of Fun flash game and other games you play using it. If your device is low on memory you will probably experience some lags. To avoid this, make sure that other apps is not running or restart your device. 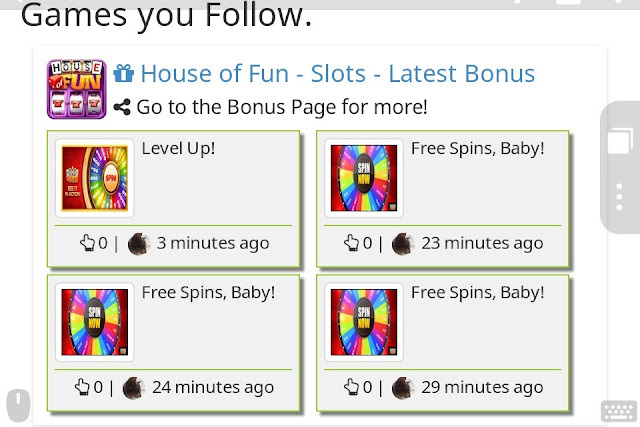 Make sure to open only House of Fun Free Coins Bonus page and after you successfully collect a bonus, close the opened Facebook tab or window. If you see a play icon in the flash content tap or wait for it to load completely. Sometimes depending on your internet speed it takes time to load flash content. Make sure that your Flash Support Setting is in "Auto" mode. Simply tap the right top icon to open the option panel. If you can afford to buy the Pro version, go for it! There are many good web browser but puffin is the only one can play flash content without any crushing or hanging. If puffin does not work for you try Atomic Web, Dolphine Browser and Chrome.